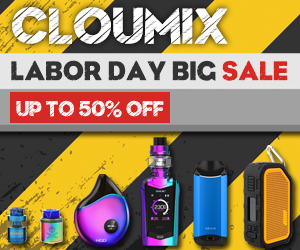 Home > Coupon > ProColor Kit > ProColor Mod > SMOK > TFV8 big baby tank > vape kit > Why Does ProColor Kit Represent A New Attitude? Now, vape is not only used as a substitute for tobacco, it also represents a new way of life. 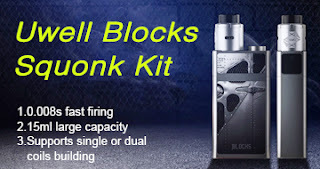 This is a new attitude, and SMOK continues to bring me a lot of unique products. Today's protagonist is one of them, it is ProColor Kit. So, as a new SMOK product, does its performance surprise us again? ProColor Kit, just like its name, it is so colorful. 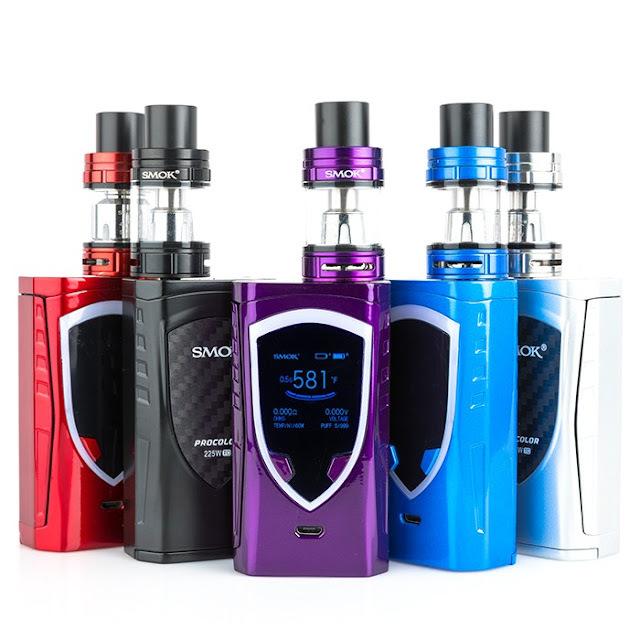 SMOK offers 18 optional colors, any one of which represents its different character. ProColor Kit is just as standard as previous SMOK products, a ProColor Mod, a TFV8 big baby tank, a replacement glass tube, a charging cable, a user manual and some accessories. 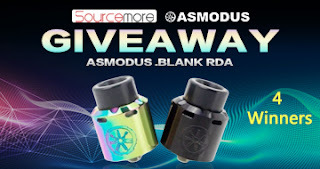 So the most different is that this time SMOK offers two different styles of Atomizer Coil, a V8 Baby-Q2 0.4 ohm coil that focuses on the taste, and a V8 Baby-T8 0.15 ohm coil that focuses on the big vapor. 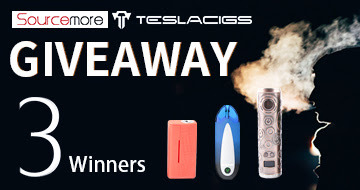 So with the ProColor Kit, you will feel better with two different styles of vaping experience. ProColor mod is powered by two 18650 batteries and supports a maximum output power of 225W. 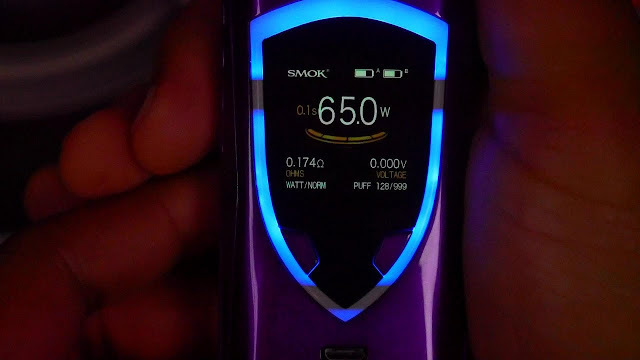 Of course, it comes with SMOK's signature configuration, which is a shield-shaped 1.3 inch high-definition display, so you can clearly see all kinds of parameter information and battery status. Of course, it also supports the use of two adjustment buttons to switch the output mode, adjust the power, switch the display color and so on. The TFV8 big baby tank is a mini version of the TFV8 big baby. It not only brings better portability, but its performance is still strong. 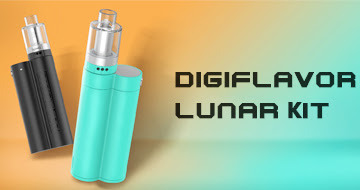 TFV8 big baby tank has 5ml of e-liquid storage space, so it can fully meet our daily needs. It still comes with a convenient top filling system and a bottom airflow system, which allows us to use it more efficiently and simply. 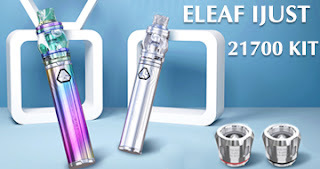 Best of all, it supports the replacement of V8 Baby series coils, so it allows you to try more different vaping experiences. So, are you emotional now?